I heard a woman refuse nachos the other day because she was “trying to lose weight”. Good on her, she was a big woman. Though I hate the idea of actively devolving chos, I do understand her pain- when this blog was at it’s most prolific (aka when I had no life, job, hobbies, friends, other writing outlets, home etc) I was eating nachos every other day. Yes, I was a big woman. Nachos, especially while eating out are fairly high in fat, cals, blah blah, but if you’re trying to eat well and are craving your fix there are ways to cultivate a healthy, glowing cho while on the road to looking dead thin, or whatever you people worry about. I call it the Gwyneth Palcho. OK, it’s a stretch but it’s better than Jenni-cho Aniston. Or Angelina Cho-lie. Kate Beckincho is pretty funny. Scarlett Cho-hansson. Oh god this is brilliant. Anyway. Don’t use meat. Chicken, beef, veal, none of it is necessary. All you need is the Big Four plus jalapenos. Use low fat cheese! Because everyone knows low fat cheese isn’t really hard and difficult to melt! Some salsas are a lot better for you than others.Tesco’s own brand salsa is quality, but nachoists across the Atlantic won’t be au fait with the lovely family owned Tesco Local. And neither is The Nacho Times au fait with Kwick-E-7-11-Mart or whatever. Shop around. Substitute guacamole for sliced avocado. Substitute the chips for air. 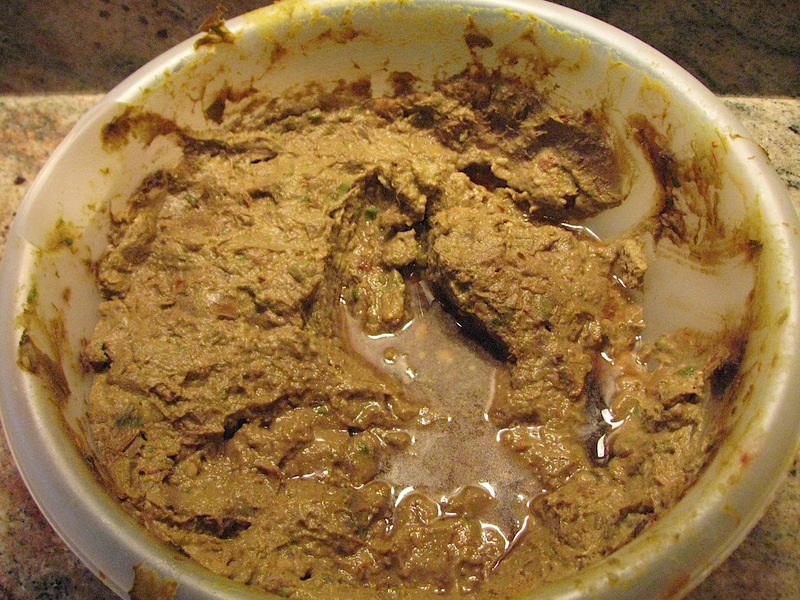 Watch out for tomorrow’s attempt at making the Gwyneth Palcho. It may or may not be a disaster. Oh look, it’s a positive review! Not of nachos, obviously, but of this damn hot recipe website I came across while casually googling “jalapenos”. Yes, I am single. But if I wasn’t, you’d never be introduced to The Jalapeno Cafe. It’s the act of arranging, and lack of cooking, that makes the cho such a fine dish for those who fear, yknow, hobs. However, once in a while it becomes necessary to cook something– a dinner party for example- and seventeen plates of nachos doesn’t cut it. Hey friends, I’ve casually whipped up some scrummy enchiladas. Oh and the ultimate quesadilla to start us off. And a Texan Cheese Log. That last one sounds odd but you’ll be laughing on the other side of your odd face after eating one. In a good way. 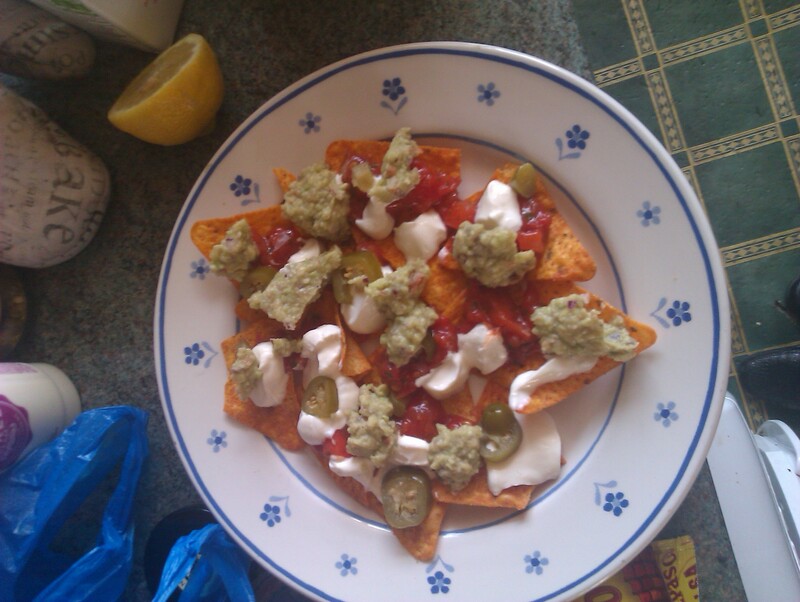 Additionally, The Jalapeno Cafe have come up with some Nacho Improvers- we’re talking homemade salsa, people. Not the stuff in a tin. MADE IN YOUR HOME. OR SOMEONE ELSE’S HOME. I’m no chef, but Incredible Salsa pretty much blew my mind out through my eyes and into the next person’s mouth. Fine, I can see things from other people’s perspectives so I’ll run with it. Whatever you’re reason for preferring colder food in the summer, whether it’s to cool down from the inside out or more directly, through rubbing yourself with iced goods, there’s a cho for all occasions. 2. Lettuce leaves with salsa and soured cream and cheese. Inadvisable. Tastes like Gwyneth Paltrow. 4. Nachos… but cold. The cheese isn’t even melted or anything. I know. Lock up all seven of your sons. 5. Trifle. Okay so it’s not nachos but neither is anything else I’ve listed. This is all very nice, and yeah it tasted great, but if it’s not hot, covered in cheese and doesn’t contain the big four, then it’s a Notcho. So stop moaning and go and throw some gazpacho down your top or whatever it is you people do. 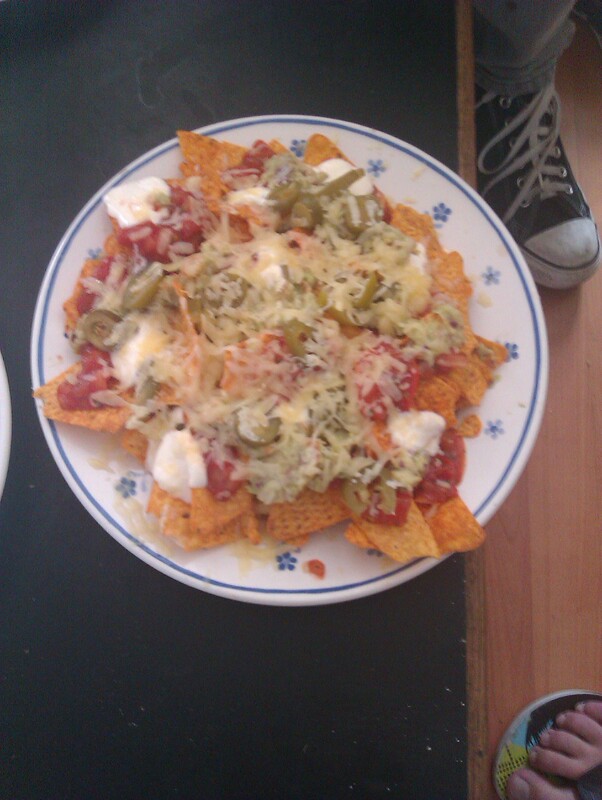 Then eat some proper nachos. Last night the Nacho Times decided to have a bash at making guacamole. Without a recipe. It turned out to have a charming pan-Mexican flavour, and I enjoyed the huge wodges of avocado, but it definitely wasn’t Guacamole. It was GuacaNO. 4 avocadoes. Preferably overripe with brown sections that can be cut off and accidentally merged with the good sections anyway. Half a lemon because you don’t have any lemon juice. Sort of put it all in a bowl and attempt to mash it with a fork. Then give up and try poking it a bit with a knife. Then smoosh it with a large tumbler until smooth/your arm hurts/you can’t be bothered anymore/you resign yourself to the fact that it will always look this colour. Which is, if you’re interested, the shade of tree sap mixed with sewage. And dead frog. And moss. Except this is worthy blogger fatcyclist.com’s attempt at guacamole. And it looks a lot nicer than ours.